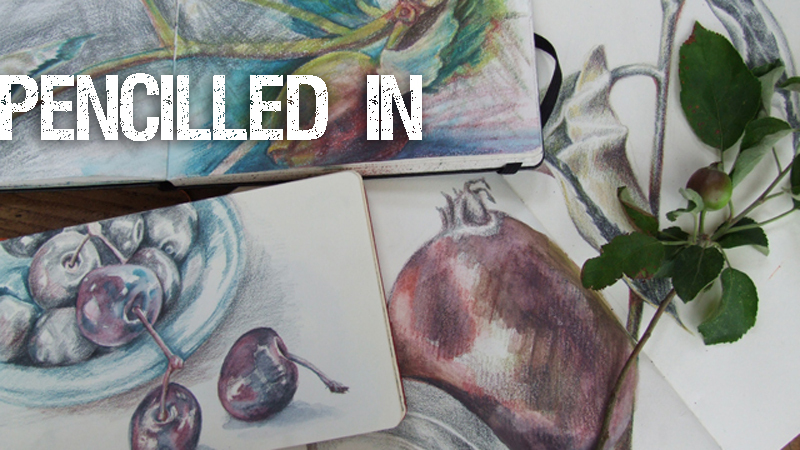 Watersoluble pencils are perfect for painterly sketching. 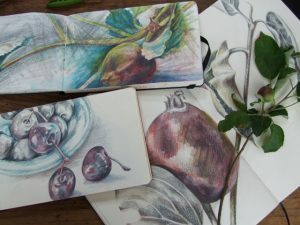 In this workshop collection Linda will demonstrate how to use them on paper to capture simple natural subjects such as leaves and peapods. 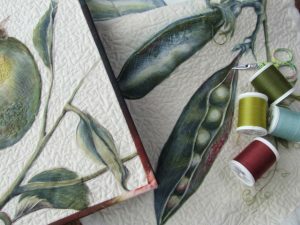 Then she’ll show you how you can recreate that on fabric before finally adding stitch to enhance the detail, colour and texture. 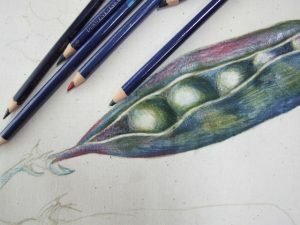 Water soluble coloured pencils are ideal for drawing and sketching. 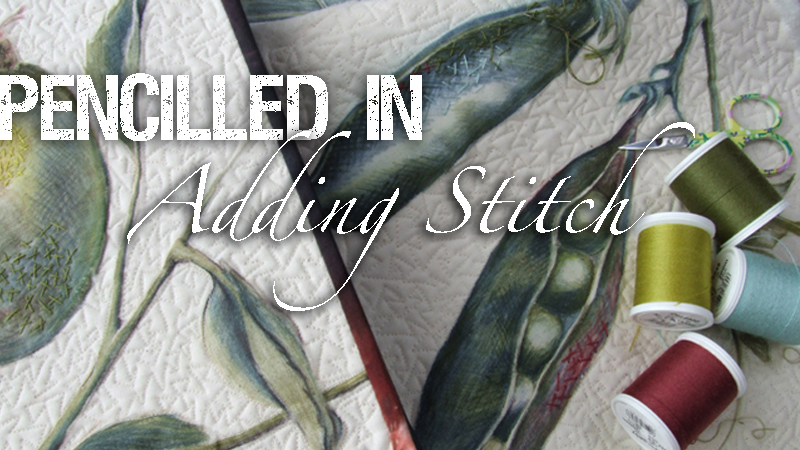 Add stitch to your drawing on fabric to enhance the detail, colour and add texture. 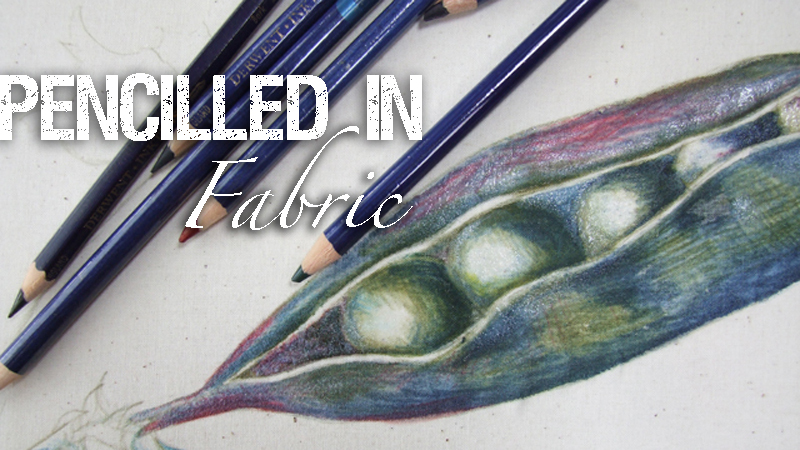 If you’ve enjoyed drawing on paper with watersoluble pencils, now’s the time to recreate it on fabric!